Figure 2. MIRLIN (Mid-Infrared Large Well Imager) image of the black hole at the center of the Milky Way [irastro.jpl.nasa.gov/GalCen, 2005]. Galaxy radiation would not permit biological life to exist. Outside the Galactic habitable zone the planets forming around the stars would be gas giants as they are insufficiently heavy molecular weight materials to produce rocky planets. The same it true for the Solar habitable zone. Venus is too hot and beyond Mars are only gas planets. Mars might have been habitable if it were larger and able to retain an atmosphere. To reach other galaxies or even stars within our Galaxy seems definitely impossible, as physics tells us, so we must reach other galaxies by means other than conventional ejected mass propulsion. Distances and times involved are currently beyond comprehension unless travel in Einstein's space-time coordinate can be accomplished. This is discussed in a speculative way in Chapter 9, as it is the only way we can leave the shackles of our own Solar System. All travel within our own Solar System (and perhaps, some time in the future, to distant places in our Galaxy) depends on a regular schedule to reach Earth orbit. In other words establishing a transportation system to Earth orbit is analogous to establishing the transcontinental railroad from Council Bluffs, Iowa, to Sacramento, California, in the late 1800s. That includes the space equivalent to the rail switching yard and marshalling yards that store and organize the materials to be shipped and that are returned. The key identifying characteristic of a transportation is that the flow of goods and materials is two-way transport. One last observation. In the space organizations today the primary word is "Technology" with the implication that without technology progress cannot be made, or that the next generation launcher or satellite cannot be created without "new" technology. Now, technology has played an important role in electronics, sensors and communications systems. Technology has played a role in improving the materials available for launchers by making them lighter and with better characteristics. But in the latter case, the new materials are not an enabling technology, but only an improvement technology. 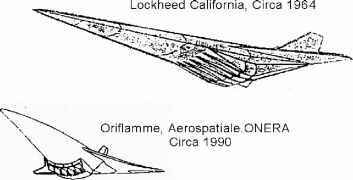 New classes of orbital vehicle and space launchers and associated propulsion systems were envisioned and were capable of being constructed for well over 40 years. The newly developed industrial capability makes it less difficult to fabricate these launcher configurations and propulsion systems today. Figure 4 shows an airbreathing configuration that originated in the 1960s and in 1990 maintains a remarkable similarity. What has not changed is the composition of the air, the behavior of the air, and the characteristics of the air flowing over a body at high speed or low speed. Our ability to analyze the details of the flow field have increased instead enormously. Our ability to use aerodynamic and thermodynamic analyses to create an efficient configuration, based on air behavior, established viable configurations decades ago. Comparing older and today's configurations it is obvious they are remarkably similar, even when considering different design teams in different countries over a span of 25 years. Figure 4. Two scramjet-powered space launchers for approximately Mach 12 airbreather operation. Remember the Saturn I launcher was assembled from essentially scrap launcher tanks and engines, to demonstrate the feasibility of Saturn V. If we have lost anything, it is the ability to make the decisions that turn ideas and analyses into hardware. That is fraught with risk and uncertainty under the best of circumstances. To these authors, the difference between now and the past is the absence of extensive testing, and of the ability, or willingness, to alter designs when test results indicate an altered path is better. All the scientific and technological progress and improved understanding we have acquired during the past forty years has produced a paradoxical result: the ability to make decisions turns studies and ideas into further paper studies and numerical analyses, with the ultimate goal of eliminating all risk and unanswered questions. This circular thinking shies away from materially testing ideas and analyses; it prefers waiting for further proofs and further analyses. Test hardware failures are not failures, but milestones along the paths to success, by identifying analytical limitations and the need to correct the hardware. As Saint Paul said: ''Test everything; retain only what is good.'' A truly real failure is a test that fails and is therefore canceled, without learning the cause and its remedy. A path that is void of material hardware is a path of undefined limits and undefined requirements. The path to successful hardware, is ''success framed by your failures'', that enables you to know where the limits are, and why. The remainder of this book strives to describe advanced propulsion embodying this philosophy. 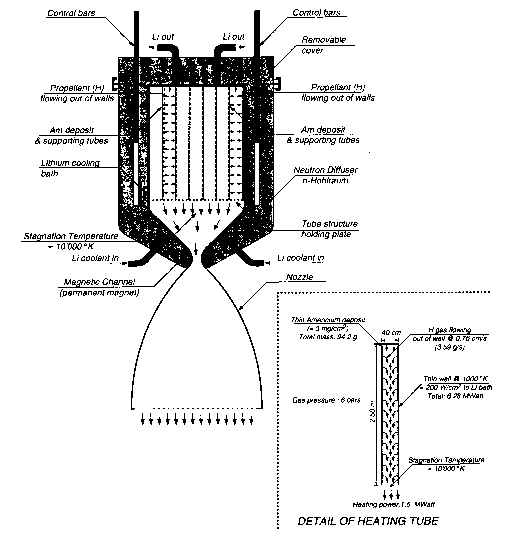 It starts by looking at what was accomplished in propulsion after the Sputnik days of the 1950s in order to improve the performance of the impressive but inefficient rocket launchers of that time. It then draws from the experience and attempts of the past to picture and suggest the future of propulsion. 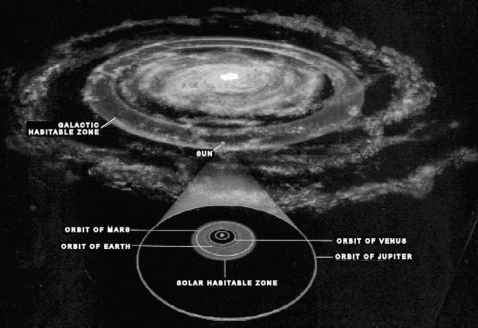 The logical framework for any new progress in propulsion is that of the missions that such progress can enable; thus, what follows will be marked by major yardsticks, from the first indispensable step, reaching Earth orbit more economically and routinely, to the building of a space infrastructure that is both technologically and economically viable; and, ultimately, in a far future, to human beings boldly exploring what lies beyond our Solar System.